Sheela Parakkal was appointed Chief Human Resources Officer of Prudential Singapore in September 2015. In this role, Sheela champions the human capital value chain and leads the HR function to develop and drive people strategies in line with the business goals. This includes building best-in-class HR practices in recruitment, talent and succession planning, reward and recognition programmes. 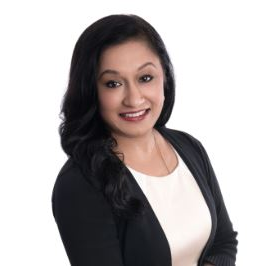 Sheela started her 17-year career with PricewaterhouseCoopers Singapore (PwC Singapore) as an auditor before moving into a human capital role focusing on business partnership, talent and development, and mobility of its large professional workforce. Prior to joining Prudential Singapore, she was the Human Capital Leader for PwC Singapore Consulting and the Group Human Resources Director overseeing regional operations at Sindicatum Sustainable Resources. Sheela holds an MBA (Banking & Finance) from the Nanyang Technological University, Singapore. A certified public accountant, she is a member of the Australian Society for Certified Practising Accountants. Check out the incredible speaker line-up to see who will be joining Sheela.